If you’re suffering from niggling joint pain that’s worse during the working week and seems to disappear on your days off – stop ignoring it. Chances are you’re experiencing repetitive strain injury or RSI and ignoring it won’t make it go away! Repetitive strain injury occurs when your muscles, nerves, tendons and other soft tissue areas become damaged from repeated physical movements. It’s a sign that your body is not healing from the strain of these activities that occur during work, education or recreation. Any repeated movement can result in repetitive strain injury in any part of your body, but by far the biggest contributor is the excessive and incorrect use of keyboards, your computer mouse, smart phones and tablets. This can impact your body from the hands and wrists, right through to headache-inducing neck strain. However, RSI is not limited to issues related to computers. Tradies who use drills, hammers and other tools, especially overhead are susceptible to RSI, as are athletes who compete in repetitive motion sports like tennis, rowing, cricket (bowlers) and swimmers. Some of the classic symptoms of repetitive strain injury include pain in your shoulders, neck and upper back when you’re using a computer and tightness, soreness, numbness, pain, tingling and burning in your wrists, fingers, hands, forearms or elbows. In more advanced stages it can cause pain severe enough to wake you from sleep at night time. During the early stages of repetitive strain injury symptoms tend to appear while doing the activities and movements that are responsible for the damage, such as using your computer mouse or keyboard. Most commonly, they disappear when you stop the activity. As the damage progresses, the pain can become constant. Massage therapy can be extremely effective and fast acting to help relieve the pain and the tissue damage of repetitive strain injury. A myotherapist or remedial massage therapist can help and you may be able to claim rebates for treatment from your private health insurance. Reducing inflammation and increasing cell metabolism in affected muscles. Stretching muscles internally with deep tissue massage in a way that can’t be achieved with regular stretching or yoga. Releasing the tight connective tissue or fascia that can hold tight muscles locked into unhealthy patterns. Massage therapy for repetitive strain injury varies from person to person depending on the repetitive action that has caused the problem. 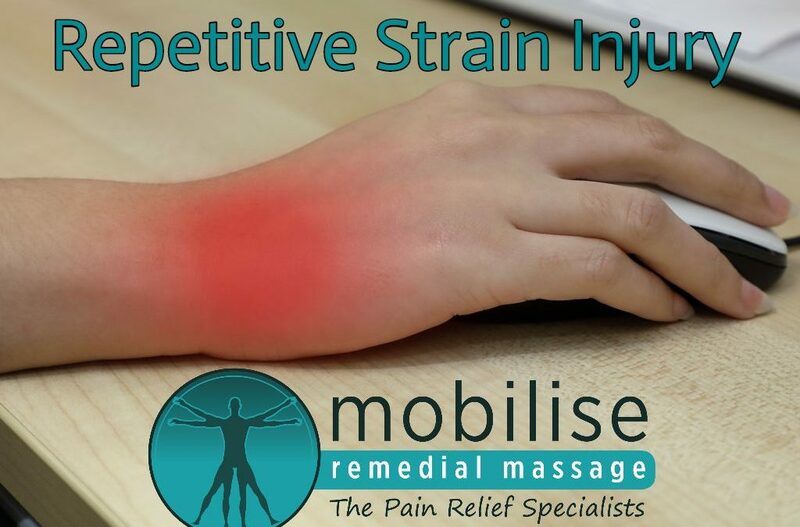 To find out more about how an individually tailored remedial massage treatment can help your repetitive strain injury, call the experienced and professional team at Mobilise Remedial Massage . Need help or advice about repetitive strain injury? 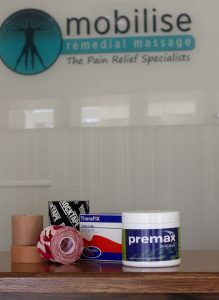 Call Mobilise Remedial Massage today, drop us an email, or BOOK ONLINE now.